Fans of G.I. Joe may have had to face a longer than expected wait for the big screen sequel, G.I. Joe: Retaliation, to blast its way into theaters, but it looks like the film's home video release is moving along right on schedule. A mere four months after the film's theatrical debut, Paramount has announced that G.I. Joe: Retaliation will be released on Blu-ray and DVD on July 30, following its digital release on July 16. The most glaring omission from the above is a feature highlighting the 3D post-conversion process that delayed Retaliation's theatrical release by a full nine months. Initial rumors centered on potential expansion of returning star Channing Tatum's role in the film – following his success with Magic Mike and 21 Jump Street – but the finished film bore no hint that Tatum's role was affected. However, the inclusion of a commentary track by director Jon M. Chu (who's also set to reboot Masters of the Universe) may provide some background information regarding the film's development and the decision to distance Retaliation from its 2009 predecessor, G.I. Joe: The Rise of Cobra. G.I. Joe: Retaliation may not have been much of a marked improvement over the first film in terms of little things like plot or character development (read our review), but then again, this is G.I. Joe we're talking about here. The action sequences are what audiences come to see, and the special features for the Blu-ray release wisely focus on the technical aspect of the film. 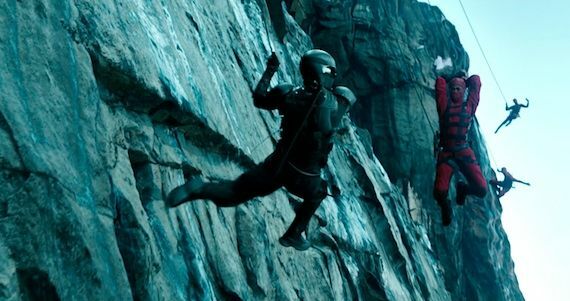 Notably, the Himalayan escape sequence – which many felt to be a highlight of the film – is the subject of its very own featurette. Are you picking up a copy of G.I. Joe: Retaliation when it hits Blu-ray? Let us know in the comments. G.I. Joe: Retaliation is out on Blu-ray and DVD on July 30th, 2013.